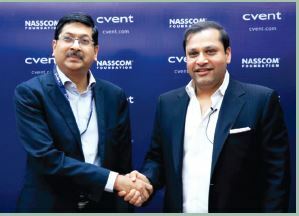 Cvent, a leader in meetings, events and hospitality technology, has signed a MoU with the NASSCOM Foundation, the social arm of India’s apex IT-BPM industry body NASSCOM, to create and launch the Cvent India Launch Digital Literacy Training Programme. Under this programme, Cvent will empower people from the underserved community in the Delhi-NCR region with digital literacy skills. The MoU was signed by Shrikant Sinha, CEO, NASSCOM Foundation and Cvent’s Founder and Global CEO, Reggie Aggarwal. 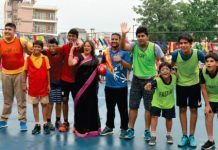 Encouraged by the results from last year, Cvent and NASSCOM Foundation have doubled the target number of youth to be trained to more than 200. The beneficiaries will go through training as defined by the Sector Skill Council NASSCOM’s industry recognised Qualification Pack for CRM Voice QP 2210 and CRM Non-Voice QP 2211. The programme will also train the students on essentials such as oral and written communication, business etiquette, problem solving, time management, customer orientation, interview skills and other soft skills required to further enhance their employment opportunities. On completion, the qualified beneficiaries will be given industry recognised SSC NASSCOM certificates. 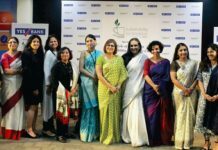 Centum Learning – A leading global training organisation has been chosen as the training partner for this initiative. NASSCOM Foundation and Centum learning will further assist in placing the trained beneficiaries across the IT-BPM sector by organising job specific placement drives and job fairs.